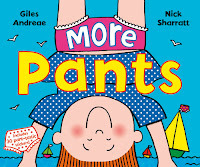 English author and illustrator Nick Sharratt will be visiting The Wellington Children's Bookshop in Kilbirnie Plaza on Saturday, December 1st, 2012 at 11am to meet readers of his books and sign copies (both new and pre-owned). Nick's illustrations will be familiar to readers of Jacqueline Wilson's books for tweenagers but he has also written and/or illustrated several others, such as The Foggy Foggy Forest, My Mum and Dad Make Me Laugh, and What's in the Witch's Kitchen? 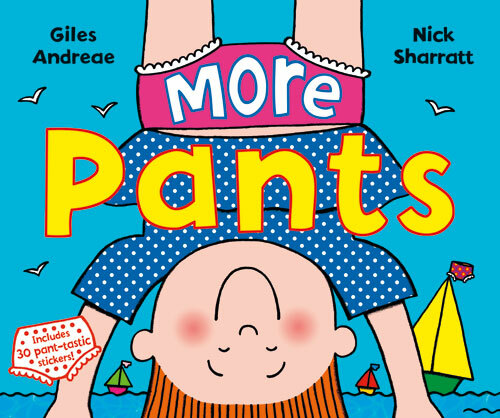 ; You Choose (with Pippa Goodhart), Socks (with Elizabeth Lindsay), Pants and More Pants (with Giles Andreae), One Mole Digging a Hole and Goat Goes to Playgroup (with Julia Donaldson).